HCM CITY (VNS) — Preserving and enriching culture and identity of peoples in the South East Asian region was vital when establishing the ASEAN community. Young people play key role for realising the target. 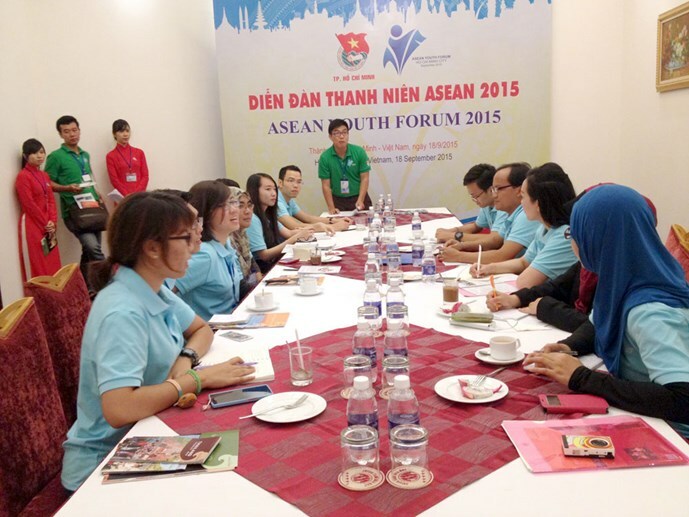 Thirty-six outstanding young people representing the young from seven of the 10 ASEAN member countries - Brunei, Cambodia, Laos, Malaysia, Indonesia, Thailand and Viet Nam - discussed this at the ASEAN Youth Forum 2015 in HCM City last Friday. While some representatives were bent on saving traditional music from each community and country, others proposed teaching the main languages of the region in universities. They said that through languages, people could better understand the cultures of other countries in the community. The young people proposed to establish a committee for conserving cultural heritage and the identities of the 10 member countries in ASEAN. Before the discussion, representatives took turns to introduce their cultures and identities to their counterparts and later offered solutions on preserving national cultural identities during the integration process. "Culture is one of the three important pillars in the development of ASEAN - One vision – One identity – One community," said Nguyen Manh Cuong, secretary of the Ho Chi Minh Communist Youth Union, HCM City Chapter. Seng Jainine, a youth representative from Cambodia, said culture was important because it not only represented a country's identity but also identified it for visitors. "I have learned that we are very similar. In my country, we have many temples. In Lao PDR and Thailand, they also have many temples, so I think we are somehow similar," she said. "Culture is not only about the temples, but it is about religion and how we dress. We have to preserve our identity during the integration period and globalisation. We have our own culture, but we have to make sure that we do not mix it all up," she added. Seng admitted that young people in Cambodia were influenced by Western culture during the globalisation period. However, Khmer people still wore traditional dress in everyday life. "Preserving culture is in the top of our heads," Seng said. The ASEAN Economic Community will be established at the end of this year.